Work is one of the most fundamental aspects of an individual’s life – and why wouldn’t it be? As one of my favourite employment law quotes from the Supreme Court puts it, we derive so much of our role in society, our sense of identity, self-worth, and well-being from our professional lives, in exchange for the time and effort we devote to our jobs. 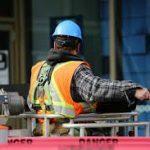 Feeling unsafe, or dealing with dangerous work conditions, should never be a by-product of this essential component of our lives – something both the courts and the legislature have made clear recently through the emergence of, and historic fines for, the offence of organizational criminal negligence in the workplace. We all know that employers are responsible for providing a safe work environment, but we must all now recognize that the law has some teeth to the extent that individuals in positions of responsibility can go to jail if they fail to meet their duties. 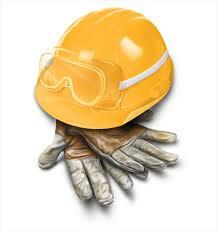 Traditionally, Occupational Health and Safety regimes were a mandate of provincial governments. 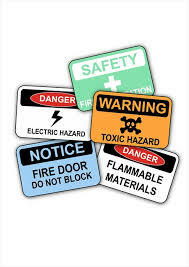 In Ontario for example, the Occupational Health and Safety Act (“OHSA”) specifies in Part IX, “Offences and Penalties” that a corporation can be fined up to $500,000 for failing to comply with the Act’s provisions. A supervisor or senior manager prosecuted under the Act can also be imprisoned for a period of up to 10 months as a result of a contravention. To put even greater deterrents in place, in 2004 the Federal government amended the Criminal Code by adding sections 217.1, 22.1, and 22.2. Section 217.1 places a legal duty on organizations directing persons to perform work or tasks to take “reasonable steps to prevent bodily harm to that person, or any other person, arising from that work or task.” Section 22.1 made criminal negligence arising out of an organization’s failure to adhere to this legal duty a punishable offence. As criminal legislation, the abovementioned sections of the Code apply across the country and in addition to existing provincial legislation like the OHSA. In theory, a company can be charged concurrently under both a provincial OHS act and the Criminal Code, as was the case in 1531147 Ontario Ltd. (operating as Millenium Crane Rentals Ltd.) (2013). In the years since the amendments to the Criminal Code, only a handful of cases have adjudicated criminal negligence in this context. Even where it has been considered, it has been treated inconsistently. In 2005, an on-site supervisor was convicted under s.217.1 of the Code, in additional to eight other charges under the provincial OHSA. He was ultimately ordered to pay a fine of $50,000 under the OHSA, but was acquitted of the criminal charges due to a plea bargain. The Quebec case of R c. Transpavé saw a $110,000 fine handed down under the Code against a company whose disabled safety system caused the horrific death of an employee. In another Quebec case in 2012, a service manager received an absolute discharge from criminal negligence charges, after pleading guilty to a different charge for his involvement in an employee catching fire from using an unrepaired fuel pump. Steelworkers v. Weyerhauser in 2011 demonstrated the complexity of prosecuting the criminal negligence charge even further. In spite of the police’s recommendation for criminal charges, the Crown cited a lack of evidence and refused to prosecute an organization for its reckless disregard to hazards that led to a worker being asphyxiated while clearing debris in a sawmill. Instead, the Steelworkers’ Union commenced a private prosecution, while WorkSafe BC levied a fine of $297,000 against the employer under provincial health and safety mandates. Some clarity, and a very strong warning for employers, finally came in 2013 with the decision of R v. Metron. The employer in this case was charged and convicted under section 22.1 of the Criminal Code in connection with the deaths of three workers and a site supervisor who fell from the fourteenth floor of a high-rise construction project after boarding a swing stage that collapsed as it descended from the exterior site. The respondent had ordered the swing stages from an Ottawa based supplier after his normal Toronto supplier was out of stock. Though the swings appeared to be new when they arrived, they lacked several features required by both occupational health and safety legislation, as well as industry practice. There were no markings, serial numbers, or descriptions of maximum capacity, nor was there a written report from a professional engineer confirming that the swing stage had been erected in accordance with design drawings – a requirement under O. Reg. 213/91. Nonetheless, the swing stage was erected. Normal practice was for two workers to be on a swing stage at a time – however on the day of the incident, five workers plus a supervisor boarded the swing stage. An investigation revealed that the swing stage’s defective design was a significant cause of the collapse. Moreover, had there been six lifelines for the workers to attach themselves to, the deaths could have been prevented. At first instance, the corporation was fined $200,000 under the Code. This sentence was appealed, and the Court more than tripled the fine to $750,000. The distinction between regulatory (OHSA) offences and criminal offences formed a large part of the appeal decision and its treatment of the appropriate fine. A major element, it stated, of the difference between the two lay in fault, where criminal negligence encompassed a degree of moral blameworthiness that surpassed the seriousness of regulatory “reasonable care” standards of fault. Thus, the Court felt that a corporation should not be allowed to “distance itself from culpability due to the corporate individual’s rank on the corporate ladder of level of management responsibility,” choosing instead to focus on the “higher degree of moral blameworthiness and gravity associated” with the deaths and the criminal charge. $200,000 was found to be at the lower end of OHSA cases involving fatalities, and was found to be manifestly unfit. The court had no sympathy for the employer’s economic viability or its ability to pay, nor did it consider it as a factor in setting the amount for a fine. The company that manufactured the swing stage was fined $350,000. More recently, the individual project manager who had allowed the workers to climb the defective swing stage in spite of noticing a potential lack of lifelines was separately sentenced to 3.5 years in prison pursuant to the breach of his legal duty under s.217.1 of the Criminal Code. Handed down earlier this January, the sentence in this concurrent case, R v. Kazenelson, represents the most significant jail term yet under the Westray amendments. 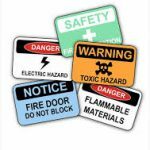 If there was ever a wakeup call for employers to take their occupational health and safety responsibilities seriously, then Metron should be it. 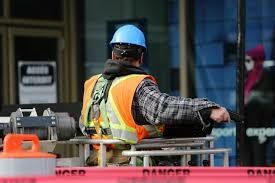 Employers are responsible for the safety of their workers across the board, regardless of the industry. 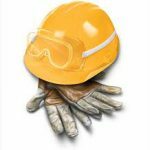 This duty includes taking every precaution to prevent injury, having written policies in place, and analyzing/taking steps to eliminate any hazards. Ongoing training, information, and maintenance are also key to fulfilling obligations. Whatever the task, non-compliance is never worth the consequences, especially where lives and fatalities are involved. In taking the time to understand their duties, employers can bring the focus back to what the workplace should be about: productivity and meaningful work.